The website of the Adams Funeral Home in Barrie crashed yesterday, shortly after notice of the death of George Jonescu was posted there. Probably not, say friends and fans of the popular radio personality, whose career spanned 65 years from its launch at CJIC-AM in Sault Ste. Marie. The airwaves, Internet and social media were all buzzing yesterday with memories of Jonescu, who, at age 84, was one of the longest-serving Canadian announcers still doing a regularly scheduled broadcast. “Wow – George’s obit has crashed the Adams Funeral Home website. He was loved by so many,” said Tom Aikins, who worked with Jonescu during the 1980s and ’90s at Barrie’s CHAY-FM (now branded as 93.1 Fresh Radio). “I can hear his chuckling now!” added another Barrie friend, Vicki Howe. Jonescu died unexpectedly at his Barrie home on Friday, just one day after he recorded his last Big Band Sunday Night broadcast for Zoomer Radio. 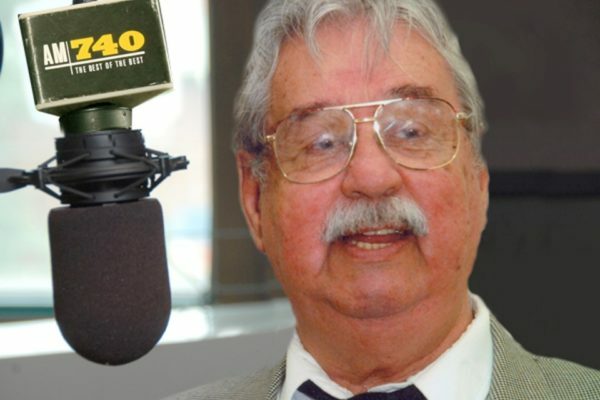 The 50,000-watt clear-channel station, based in Toronto and boasting North America’s largest broadcast footprint reaching extensive parts of Ontario, Quebec and 28 U.S. states, announced his passing during Sunday’s broadcast.